Now that the alliance is made, I want to thank all of you guys who didn't hesitate to join our forums. I can feel 10th of march is a day that I will remember, because after learning from others' mistakes and careful planning, our alliance was made. The main thing why we all need this kind of alliance is because it would bring us the best feel of community in a game where people started to forget it. The person I would like to thank the most is EsTygo, the leader of Revolution. Seriously, if I hadn't joined Revolution for a short period, I wouldn't have met such a good leader. His point of view was so pure, that I wanted nothing else but my main guild (Serenity) to join Unity, the alliance Revolution was in back then. He inspired me so much, that I started to understand the true values of Dofus. After Unity's fall, we've been working hard towards the development of alliance and I can easily say that my guild would just belong to a mediocre alliance that might have a lot of prisms, scammers and mad kids right now if Esty didn't change my point of view that much. I started not to care about those things majority of Dofus players overly care about. There might be more people like Esty and I wish all the people like him joined our alliance. You just can't ignore his devotion. He works a lot for us to feel comfortable in the alliance and to also have the best allies in Rushu, not necessarily PvP-wise. And I thank all of you who are reading this message and agree on things I wanted to mention. Also I'd like to thank my awesome guild Serenity for letting a simple level 158 member work for the guild's success and believing in me. Nice post, but I think you're forgetting one more important person! I would say a lot of people owe some thanks to you as well Omelette! 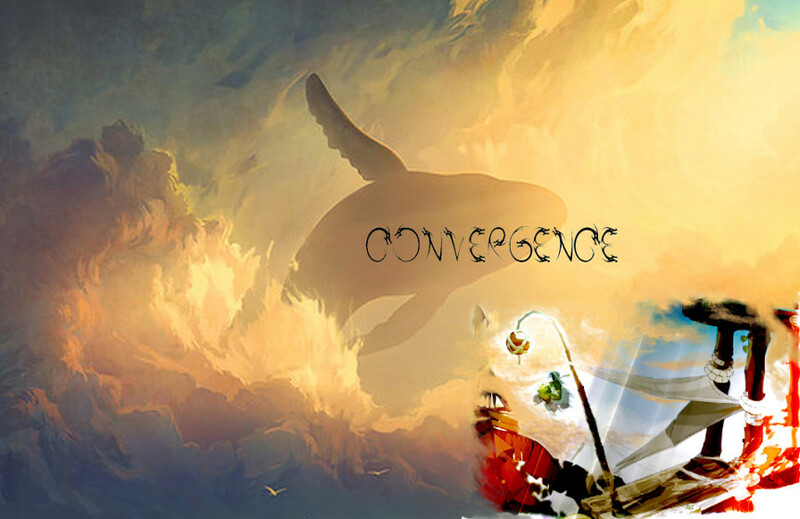 A big thanks to all the people involved in the creation of Convergence. Thanks for the attention, Omelette. You are no less to thank in all of this, and surely the single person who spent time in preparing and negotiating with leaders the most and got them excited about the idea of this new alliance. Thanks to you for helping to create what i believe will be the most joyful and warm alliance of Rushu! While i hope nobody is annoyed by the highlighting of eachother in this thread, and i'm sure we deserve a little gratitude, i'd like to take the opportunity here to say something about the ideas behind the alliance. I'll tell you a story about how i got myself into this point and all these thoughts about the alliance. I started out my first char, a chance osa, EsTygo in 2005, but i won't talk about everything that's happened since. In my years on Dofus ive experienced alot of guilds and alot of different leadership. Already in my early days i experienced some bad leadership in several guilds and its conequences. In my first guild, while the leader was on vacation he appointed a temporary leader. The new leader was a clueless emotional teenager, and after 2 days she kicked out everyone from the guild cause she felt like it. The guild ended with a bang. A month later i ran into some friendly guys and got invited to their freshly started guild. It was called The Empire and was the first guild i was really happy in, and a guild in fact all of its members liked. We enjoyed eachothers company on /g and soon became a group of friends. It appeared that somehow we had something special there that was hard to explain in words. Maybe it was just the connection, eventho we were all different, different ages, genders, cultural background etc. Or perhaps it was several things that fell into place that created the right setting. The leader was a nice guy, but also rather passive as leader. Then one day some members left the guild, then a few more left cause of those others who left. Then the guild became more inactive and more people left in a downward spiral. It was very sad to see, and while i didn't want to tell others what to do, someone had to step up since the leader was doing nothing. I wanted to save what was left of the guild, and started negotiations. As a result, some days later we succesfully merged The Empire into Shinra. However i was left feeling a bit disappointed that nobody else was there to try to keep the group of ppl together, when the group we had grown attached to started shattering apart. Because of this i decided to put my main char in a different guild than Shinra, where i left my alt. My swedish friend Youbutsu had just recreated a guild that died in 2005, called The Gobball Hunters. This guild was very different in feeling from The Empire, and that connection between the people was not the same, still we had alot of good times. A while later Youbutsu decided to make me his officer (SiC) and help lead the guild. The guild was a success and soon became a big and famous guild. Several months passed, and one day Youbutsu came to me and told me that he is feeling uneasy about the guild. He felt that in the process of developing and growing the guild something important got lost. He said he was missing that feeling we had before in the guild, from the early days. He didn't want to be the leader of a big powerful guild anymore but started dreaming of a small guild with just good friends who know eachother. I told him i know exactly what he means and i can understand, but that he should at least continue with the old guild cause it had a high level, and just change it a bit and create that feeling that both of us appreciated by only accepting people who talk and want to get to know eachother. He had made up his mind however, and the new guild which was not going to grow but just be a small guild of close friends was created by the name Blank. Not what you would have expected, huh? As you would imagine, it took maybe a month and we were the same as before, and most of the old GH people were now in Blank while it was expanding rapidly. Youb was great with the social side, but then again he was not the best leader in all of the qualities that make a good leader. At one point we had a SiC who was paranoid and always thought ppl were against him or picking a fight with him, and he was kicking ppl left and right. One of the many experiences i collected along the way from failed leadership. Many things happened, and a few years later we decided to restart Revolution that Luciferz had closed down a year earlier when he was quitting. It was not difficult to find people who had some good memories of the guild or who were excited to be part of the old guild once more. I didn't want to be a SiC again, cause i enjoyed playing the game a bit differently from most and spent alot of time doing research, writing notes and planning strategies and i thought i wouldn't have the time. But then one day the leader (Ekoh) really needed help running the guild and wanted me as SiC and so i gave in. It was already around the time when Revolution was reborn in 2008 that i was talking about the importance of a good leadership with the leader, and had some cool ideas on how to develop the guild. I called it the guild 2.0 project (since there was much hype about a future Dofus 2.0). I wrote down alot of ideas on how to offer alot of different positions to the members of the guild so that everyone could be part of building the guild together and share the responsibility, not just the leaders. I hoped it would also increase participation, interaction between people and strengthen the feeling for members that it was their own guild, and not just an exclusive club owned by the leaders. These plans were never fully implemented eventho i got some positive feedback for them. As you might expect, time went by until one day came the day when the leader decided to quit Dofus. The guild was falling apart and it was unsure if there was any future for the guild left. The first leader and creator of Revolution, Luciferz still logged occasionally, and i talked with him in hope that he would lead the guild again. He told me he couldn't, and the only person he felt he could trust the leadership with was me or the guild was finished. I appreciated his trust alot, and so i became a guild leader myself for the first time. The past of Revolution has seen many occasions when the guild had been dead or nearly dead, also during some of my own breaks from the game. But that's a different story. Last summer the guild was doing good again and with the help of SiCs we were building the kind of guild we wanted Revo to be. Alliances happened, and suddenly i was not just planning Revolution but discussing with a bunch of leaders what to do with our alliance in the Link council. I was one of the most active council members, and i think many council members would remember me not just for writing lengthy texts but for always trying to push the alliance forward and trying to solve the problems the alliance was running into, and which were causing the alliance leadership to choke up so to speak. Unfortunately the system of decision making was failing hard, and many lost interest to really do anythign about it while some others were trying to convince eachother that they should be the leaders alone to set things right in the alliance. I put alot of time and effort and thought into the organization of the alliance then, and would not have written the plans we have now if i hadn't gone through alot of different difficult situations related to the alliance. So today in what i intend, and have tried to bring out in our new alliance has traces of everything from the past, and a mix of it all. The best experiences i've had in this game, the best guilds, friendships and allies, the many failures i have seen in bad leadership or poor organization, the many difficult social situations created in a community, the attitudes, values and connections that strengthen us, many problems that required some solution, and many thoughts and ideas on how to really bring out the best of the community and aim at something better, and building it all up and beyond those best communities i have seen and experienced. I wanted to tell this story as a path to the thoughts that i have been talking about for a long time and were used in creating this alliance. My point here is also not that i want to hear that im smart, but that the thoughts that have so far been put into planning this alliance did not happen overnight and i do think we have a good chance to turn the many thoughts and ideas into a great alliance. Theres no certainty of it at this point however, even if the start has been better than i would have hoped for. Much will depend on the intensity at which members and leaders can and will participate into creating this for eachother. While i am hoping that many things go roughly according to plan, what i really hope for most of all is that we can all work together on a goal that we can share with eachother and enjoy eachothers company while doing it. Thanks for reading the story, and i hope it was inspiring in some way to to you, and gave you some idea why i am doing all of this and also some idea why other guild leaders see the same things as i do that have made this alliance possible.